Parts & Accesories	There are 6 products. 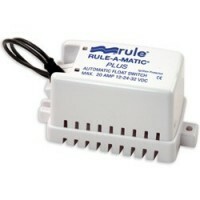 The Rule-A-Matic Plus Float Switch. Capacity: 20 A @ 12V, 10 A @ 24V, 6.5 A @ 32V. 14-gauge, abrasion-resistant, marine-grade wire enables use with pumps drawing up to 20amps. MFG#:40A Warranty: Two years. The Rule Three-Way Rocker Panel Switch is an Auto/Off/Manual with spring-return from manual. Built-in fuse holder (fuse not included) and lighted rocker switch. MFG#: 43 Warranty: One year. 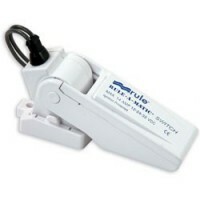 The Rule-A-Matic Float Switch (w/fuse). environmentally friendly, mercury-free design tested to over 1,000,000 cycles for reliability. 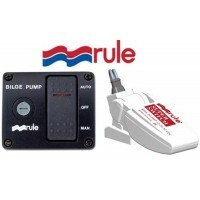 For pumps drawing up to 14 amps. MFG#: 35FA Warranty: Two years. The Rule-Super Switch. Larger float for more buoyancy and less on/off cycling, top-led wiring, "snap-in" base for easy switch installation or cleaning. Mercury-free. MFG#: 37A Warranty: Five years. 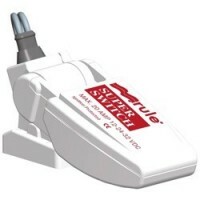 The Rule Super Switch with Fuse. larger float for more buoyancy and less on/off cycling, top-led wiring. "Snap-in" base for easy switch installation or cleaning. Mercury-free. MFG#: 37FA Warranty: Five years.